MedMar Healing Center announces a partnership with SCLabs to have all their medicine scientifically tested in order to know cannabinoid profiles and accurately recommend the best medical marijuana for their patients. Members who are going through chemotherapy have very different needs than those who suffer from ADD, so having accurate testing data allows us to treat them more accurately. MedMar Healing Center, a community-based San Jose organization that specializes in medical cannabis, announces a partnership with SCLabs to have their medicine tested for THC, CBD, and CBN. By testing their medicine for these cannabinoid's by a respected lab, MedMar hopes to provide their patients the most accurate medicine to suit their medical needs. Douglas Chloupek, a representative from MedMar, explains the importance of delivering a high-grade medical product and protecting patients from untested products." Every day we look for better ways to serve our members, testing all our strains was the logical next step in order to make sure all of our members get the correct medicine for what ails them” said Chloupek. “All of our flowers and concentrates are tested. The testing company, SCLabs, is one of the most respected names in the industry with well-established and proven results. Our tests results can be found online and are also sent to our members directly so that they can see the official numbers for themselves." 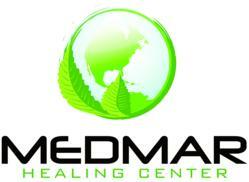 As a nonprofit medical cannabis dispensary, MedMar is also dedicated to supporting the San Jose community. Whether it’s providing compassionate care services or participating in charitable events, MedMar is dedicating to improving the lives of local residents and providing the highest-grade medicine possible. The partnership with SCLabs continues this tradition. This partnership with SCLabs to have all their medicine scientifically tested is just one more step that MedMar does for their patients to go above and beyond to better protect and treat their patients. Coupled with their commitment to the community including charitable events and it is clear that they care about who they work with. MedMar Healing Center is a grassroots, community-based San Jose medical cannabis club that offers support and alternative health resources to people facing health challenges. Their primary goal is to advocate a proactive approach to health management by providing a local, affordable, and safe environment to dispense medical cannabis and other alternative health services. MedMar provides residents of San Jose and Silicon Valley with medical marijuana in many forms, including flowers, hash, edibles, and concentrates. MedMar Healing Center tests each of their strains of medicine for a Cannabinoid profile, which helps their knowledgeable staff recommend the best medicine for the diverse ailments of each client. Acting as an easily accessible resource for Bay Area medical marijuana patients, MedMar Healing Center is centrally located in downtown San Jose, only blocks from the San Jose Sharks’ home, HP Pavilion. Close to major freeways and thoroughfares, MedMar is located near all the major public transit options, including Diridon Station.